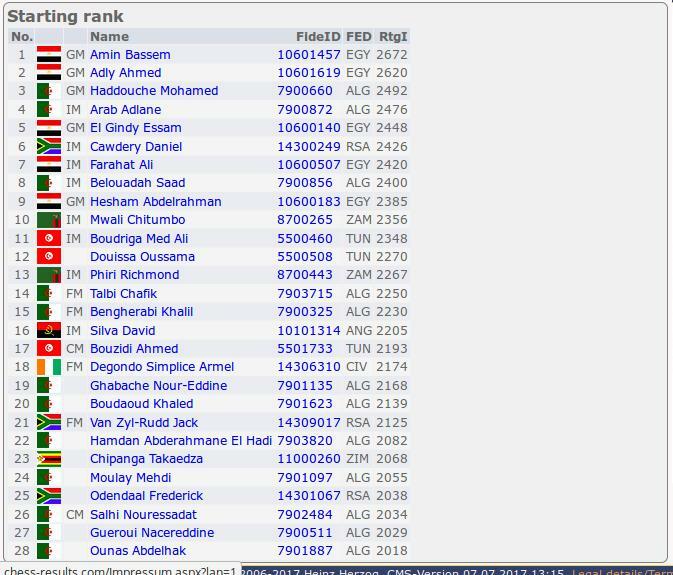 Grandmaster Doctor Bassem Amin – 2017 African Individuals Chess Champion (Classsic and Rapid) CREDIT – GM Amin’s Facebook account. 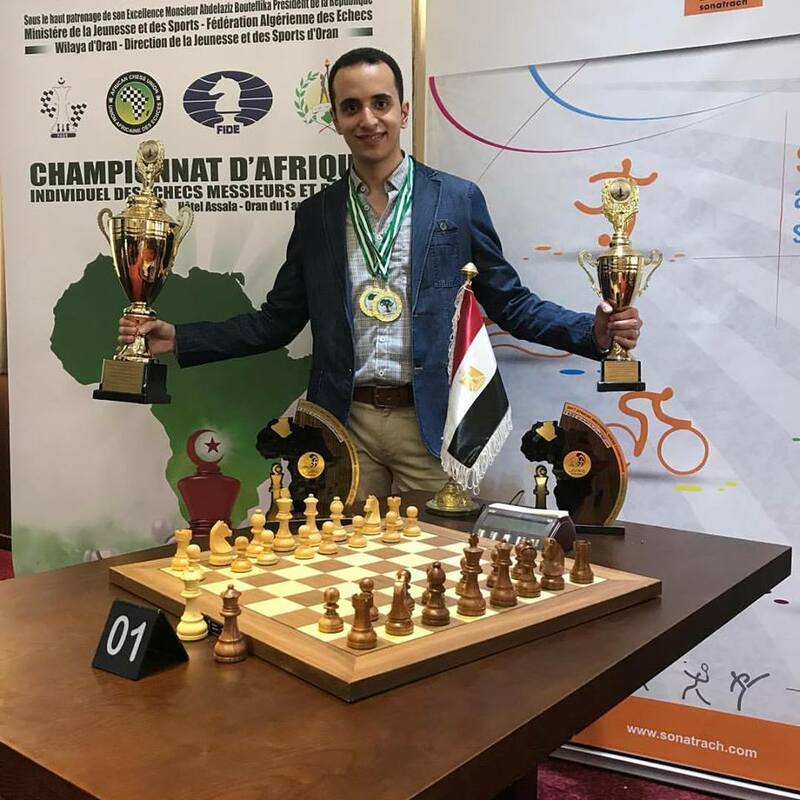 Egypt’s Chess grandmaster Dr Bassem Amin won the 2017 African individual chess Championships in Algeria. He narrowly beat South Africa’s international Master Daniel Cawdery on tie-break. After 9 rounds both players had 7 points. IM Daniel Cawdery was quite unlucky as winning the tournament outright would have led to him being a grandmaster. He is now pushing hard to become a grandmaster having end at least two Grandmaster norms. 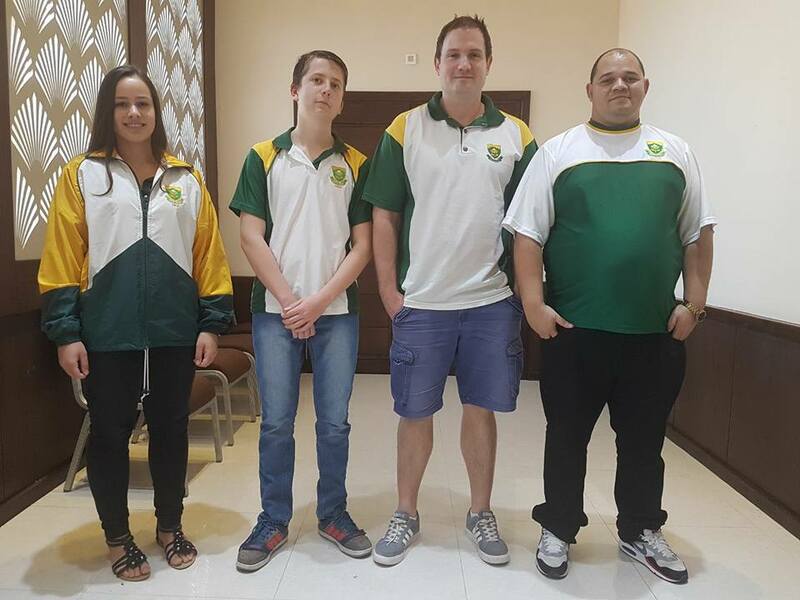 There was great anticipation among South African players regarding Cawdery’s prospects of becoming a grandmaster in the tournament. He lived up to expectations as he is playing at a very high level at the moment. Cawdery and Amin were still tied on the first tie-break which was the result of their match or direct encounter. That match ended in a draw. However GM Amin was ahead on the second tie-break which was bucholz. In essence the bucholz of a player after a tournament is determined by the scores of their opponents. Both Amin and Cawdery went through the entire tournament without losing a single game. They both won 5 games and drew 4 games. The 2017 African Individual Chess championships featured at least 28 chess players with many of these players coming from the hosting country Algeria. The tournament had 4 grandmasters namely Grandmasters Bassem Amin, Ahmed Adly and Mohamed El Hindy from Egypt, and Grandmaster Mohammed Haddouche from Algeria. There were several International Masters and candidate masters in the tournament. Players from the following chess federations took part in this event: Egypt, South Africa, Algeria, Zambia Tunisia, Angola and Zimbabwe. Grandmaster Amin showed why he is Africa’s top player being a contender for the top prize from the onset of the Tournament. The grandmaster has proven himself in several tournaments time and time again. This particular Tournament went down to the wire in the very last round and the winner would only be known after the games were finished. The Grandmaster who is a doctor by profession is now pushing towards the 2700 Elo rating and has to be one of the strongest amateurs in the World. After the Zonal tournaments held in Africa in June all focus was now on the African Individual Chess Championships in Algeria. The winner of this tournament would also be awarded the title of Grandmaster. The tournament certainly did not disappoint as several games were decisive. 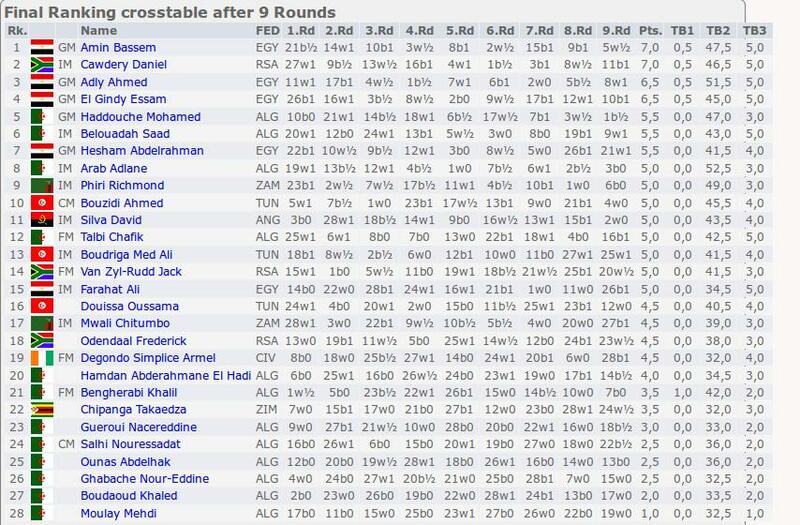 To replay the games from the African Individual Chess Championships just click on the drop down. What were the expectations at the beginning of the tournament based on the player’s ratings.